These are truly incredible! Scenes one doesn’t usually get to see!!! And I’m hearing they are Healthy moose out west! And the Elk and the bear cubs! Triple Crown for you!!!!! Thanks Deenie. 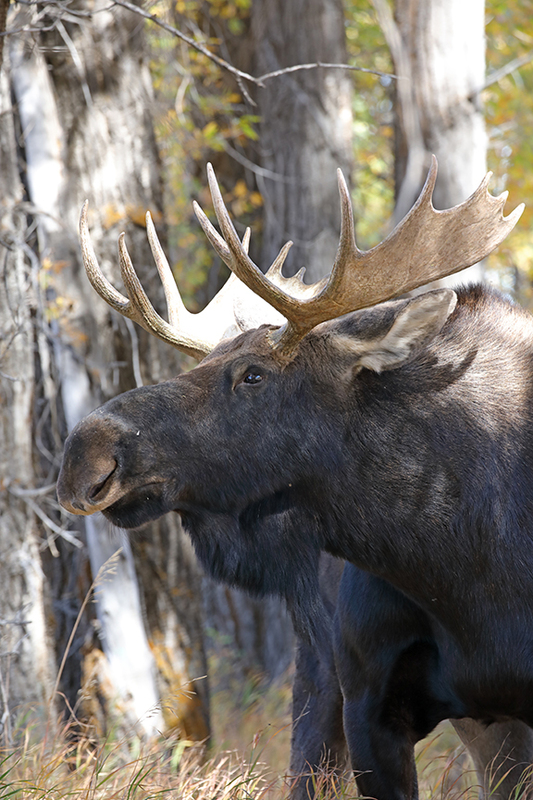 The moose here do look and act healthy. Heard an elk bugling (what a wonderful sound!) this morning but didn’t see him. Great pictures as usual, Jean. Looking forward to more. Stay as long as you can. It’s hot in the South. Thanks Jerry. I’ll stay as long as I can here. Campground has really emptied out a lot today, clear views all around, now if a few moose would wander by…… Found out earlier today the 3 cubs are black bear cubs. Talked with someone who saw them a couple of days ago with their mother in the same area and she was definitely a black bear. Good to get that clarified. I though they were a bit small for grizz cubs but without seeing the sow I was guessing.